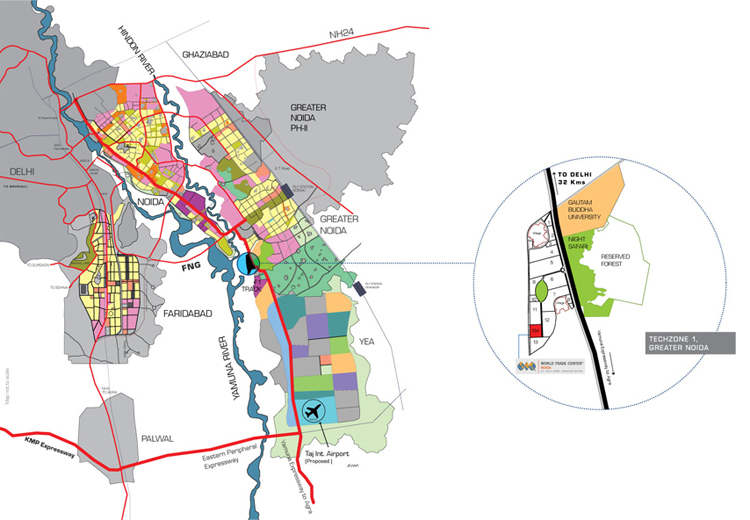 Noida is an awesome city and a part of the National Capital Region that is going through constant development each and every day. This city is not only an ideal residential hub in the NCR, but an ideal working hub as well today. Noida has turned into an incredible platform for many MNC’s from around the globe. In fact, Noida is a place where many people from around the country have found brilliant employment. The real estate industry has magnified to a great extent in Noida and has a lot to offer today in terms of residential as well as commercial spaces. With today’s fast paced life, a getaway home from work to relax and unwind is something that everybody seems to be looking out for, but nobody seems to find that easily. 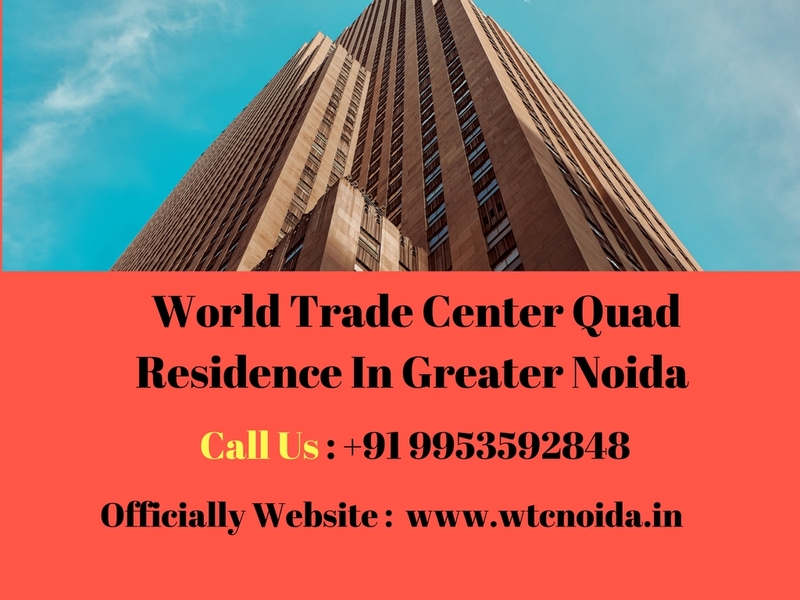 WorldTrade Center Quad is a new residential project in Noida that is specially created for working individuals to live a life of luxury and comfort although they may be far from home. Extended over acres of land, this development offers business suites and studio apartments of different configurations that will meet your budget perfectly. With apartment sizes starting at 570 sq. ft., experience a new world of beautiful space that you will truly appreciate. World Trade Center Quad Noida is a distinct residential development in Noida that offers splendid work-homes that are crafted to perfection. If you are living away from home and still looking for a modern-day lifestyle, this development is where you need to be. The apartments are well-spaced and contain vitrified flooring, anti-skid ceramic flooring in balconies, skin-moulded doors and flush main doors, UPVC/aluminium windows, sleek kitchens with dado, granite tops and stainless steel sinks, high-end furnishings and fittings, electrical ports located perfectly for easy access, safety features and more. This is where you will find and experience a new world of luxury that will not only help you relax, but also perform better at work each and every day. Located at Tech Zone 1, Greater Noida in Noida, WTC Quad comes in close proximity to a number of places like hospitals, medical centres, malls, shopping centres, cinemas, restaurants, convenience stores, banks, ATMs, cafes and a lot more. Total convenience is what you will experience each day at your ‘after-work’ home that you will truly appreciate. The WTC Quad price is simply unbelievable, but brilliant! Starting at a price of Rs.19.95 lakhs only, the apartments at this development are affordable and definitely worth a purchase for the excellent features that they have to offer. Take some time out during work, relax, unwind and get back on track when residing at this incredible development. There are multiple payment plans that you can choose from according to your convenience, while you can also opt for easy home loans through associated banks for a hassle-free purchase. 3 Million sqft. of Oce Spaces. All living spaces are naturally ventilated. Big IT Giants like TCS, Wipro, HCL,NIIT in the vicinity.